Planning your next family holiday to Oahu Hawaii? You will be pleased to know that you will be spoilt for choice when planning your accommodation. 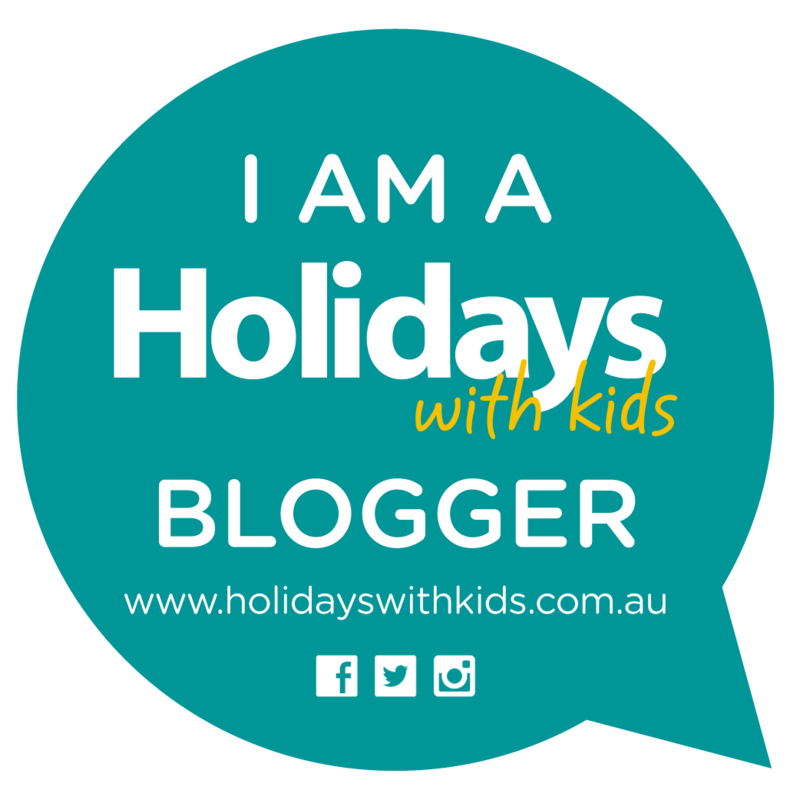 There are so many wonderful family friendly resorts to choose from, I have selected a handful to assist you in navigating the endless choice, most of the resorts on my list I have visited. 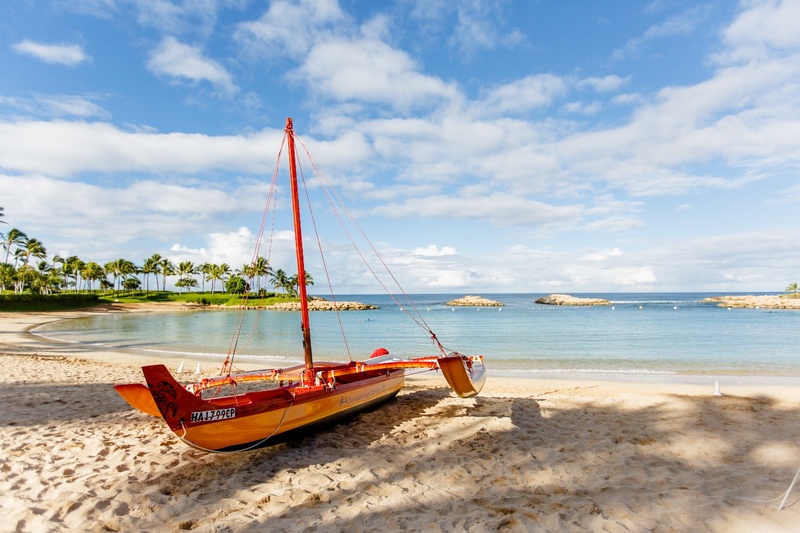 Aulani Disney Resort and Spa is located in Ko Olina Oahu, which is only 30minutes from Waikiki. Set on 21acres on the stunning beach of Ko Olina this is a tranquil oasis removed from the crowds of Waikiki. Aulani is an expansive resort, with 351 hotel rooms, including 16 suites, 481 Disney Vacation Club Units including 19 Grand Villas. We love this resort as every accommodation type is offered here. Whether you prefer a hotel room, or the feeling of home away from home with the Disney Vacation Club Units fully furnished with all the homely amenities. Or if the budget allows and you are looking for even more Luxury, a Grand Villa may just meet all your expectations. 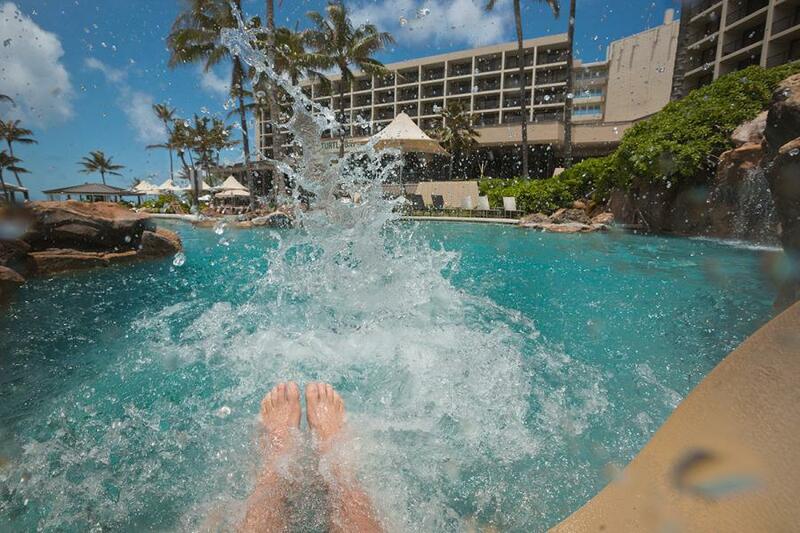 Aulani has a swimming pool to satisfy everyone in the family. 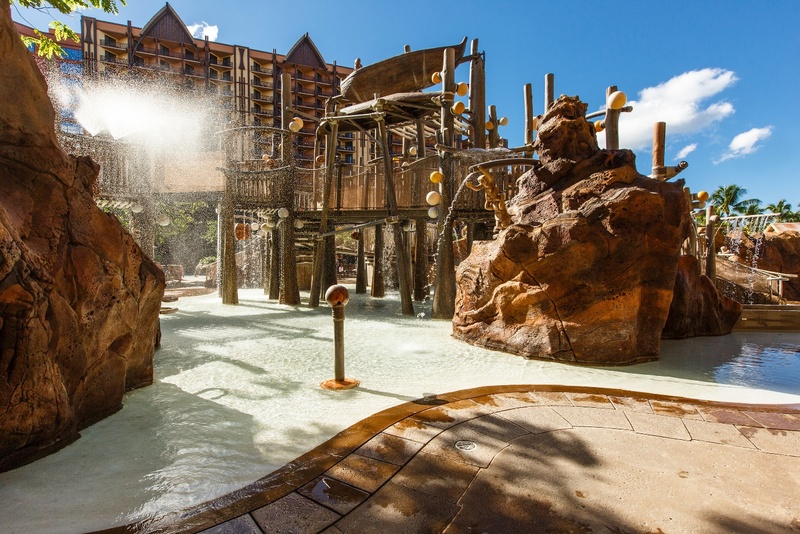 The kids love the Menehune Bridge, this interactive splash zone with 2 water slides a climbing play structure keeps the kids amused for hours. The Wailana Pool is for guests 18years and up, this maybe where you chose to enjoy some quiet time relaxing by the pool whilst the kids enjoy some time at the infamous kids club Aunty’s Beach House. Or discover the serenity of the Waikolohe Stream, grab yourself a tube and enjoy this lazy river experience, the whole family will sure enjoy this ride. Join in the fun at the Waikolohe Pool for the Shake-A-Shaka Pool Parties, shake your booty with some of your favourite Disney Characters and enjoy some super fun pool games. Late afternoon visit the Ka Maka Grotto this infinity edge pool overlooks Ko Olina Beach a perfect spot to relax and watch the sunset. Enjoy snorkelling in Oahus only private snorkelling lagoon Rainbow Reef. This is one of the most amazing kids clubs I have ever encountered. Sprawling over 5,200 square foot, Aunty’s Beach House will have your children wanting to return each day. Visits from Disney Friends, a gorgeous garden with play area, movie room, complimentary programs as well as the highly interactive Premium Experiences (which I personally highly recommend you register your children for). Wii and Sony Playstation Video games, the list is endless. Your children will most certainly find a little piece of Disney Magic here. Enjoy this gorgeous piece of paradise. Makiki Joes Beach Rental service is the go to place to find all of your beach toys. From Paddle boarding, sand toys and snorkelling gear there is plenty to keep the family busy for an active day at the beach, or sit back and relax on the complimentary beach chairs and umbrellas. 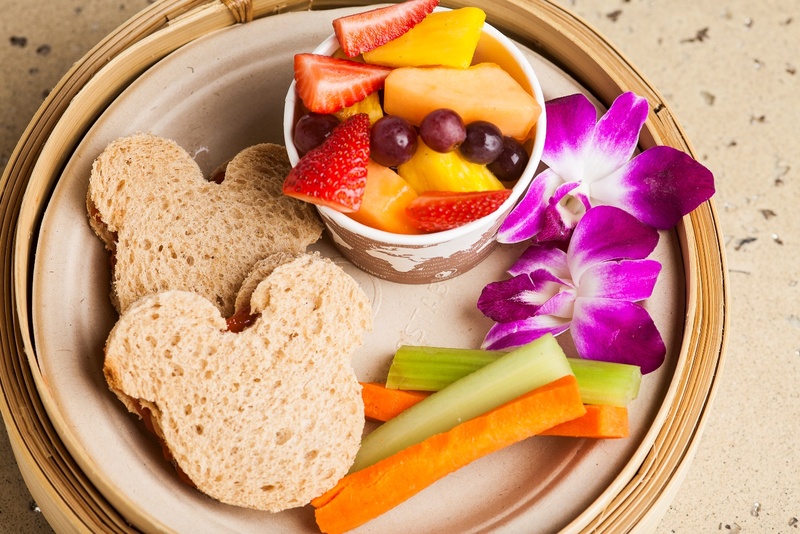 Breakfast with the Disney Character at Makahiki, this restaurant is open for breakfast and dinner offering an assortment of dishes buffet style dining. The Character breakfast a must at least once during your stay. The Children will thoroughly enjoy this. 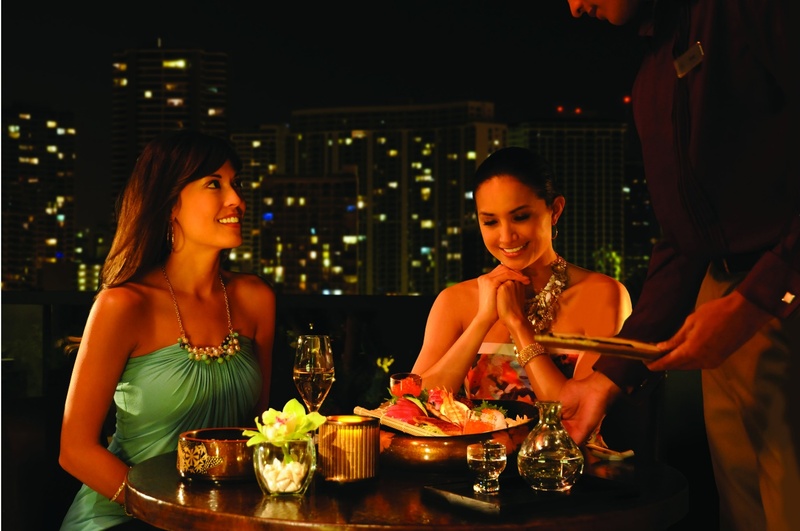 ‘AMA ‘AMA’ -offers Hawaiian classic cuisine with a modern twist overlooking Ko Olina Beach. OFF THE HOOK – Casual pool side dining. And there is also MAMAS SNACK STOP, PAPALUA SHAVE ICE, and the OLELO ROOM to enjoy cocktails savoury appetizers whilst enjoying some live music. 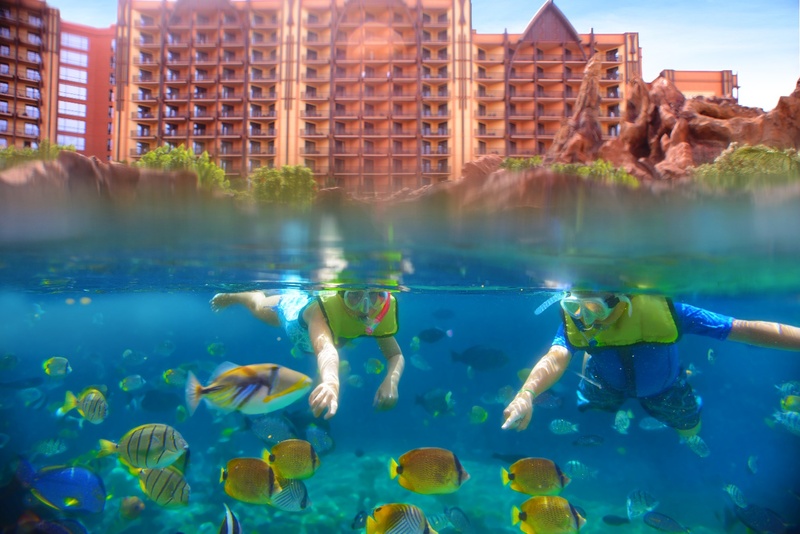 Aulani Disney Resort and Spa is certainly not short of entertainment and activities. From watching movies under the stars, Story Telling around the open fire pit with Uncle, Lu’au performances. For a full list of activities and entertainment check out the Weekly ‘Iwa with a day by day list of activities and entertainment. Spoil yourself and indulge in any one of the amazing spa treatments at the Laniwai – Disney Spa. For the teens in the family they have you covered visit Painted Sky Teen Spa 13-17years of age. Or perhaps start your day with a sunrise Yoga class on the beach, or pump some weights in the fitness centre. 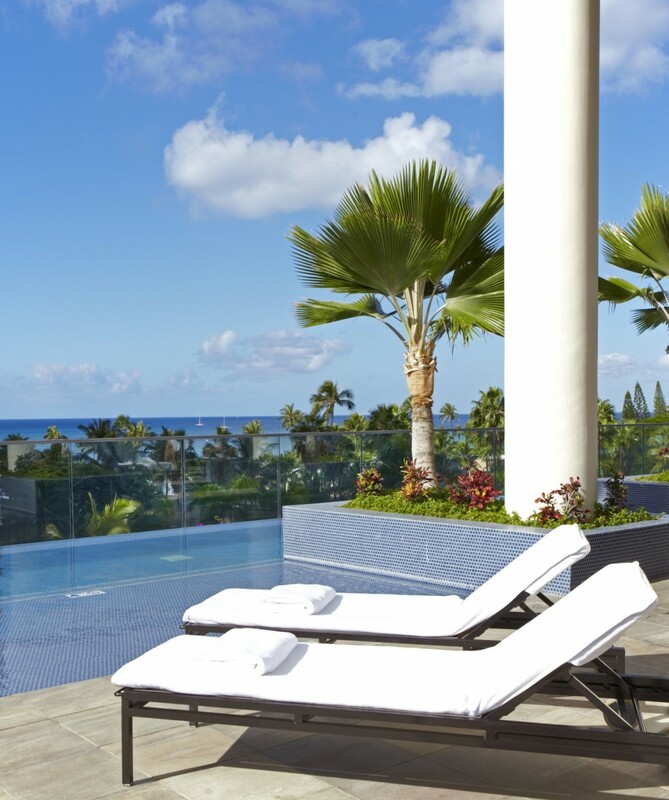 This 5 Star hotel is located in the heart of Waikiki. Waikiki’s restaurants, shopping boutiques and the famous Waikiki beach are all only a short stroll away. We love staying here, the service is always exceptional and attention to detail has exceeded our expectations on all our visits to this Hotel. 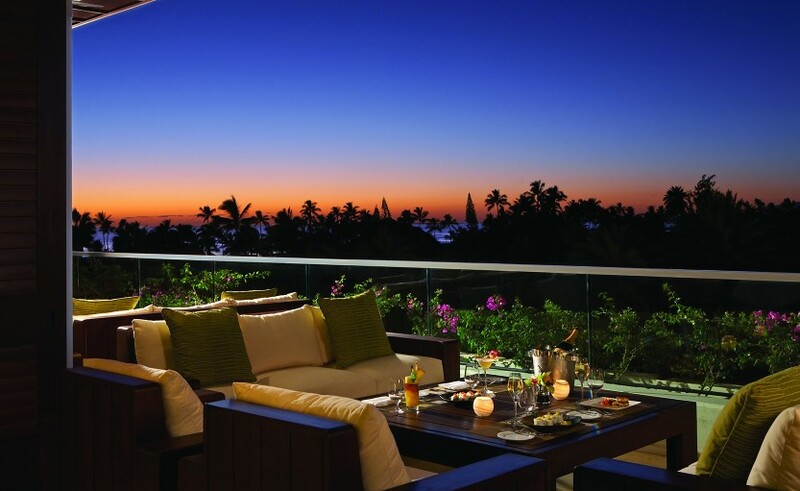 The Trump International Waikiki is renowned for its exemplary service standards. With a variety of accommodation types that would suit a couples getaway or for the families a choice of guest rooms and one, two and three bedroom apartments. The apartments have all the inclusions of comforts of home. With a fully equipped kitchen, washing machine and dryer. 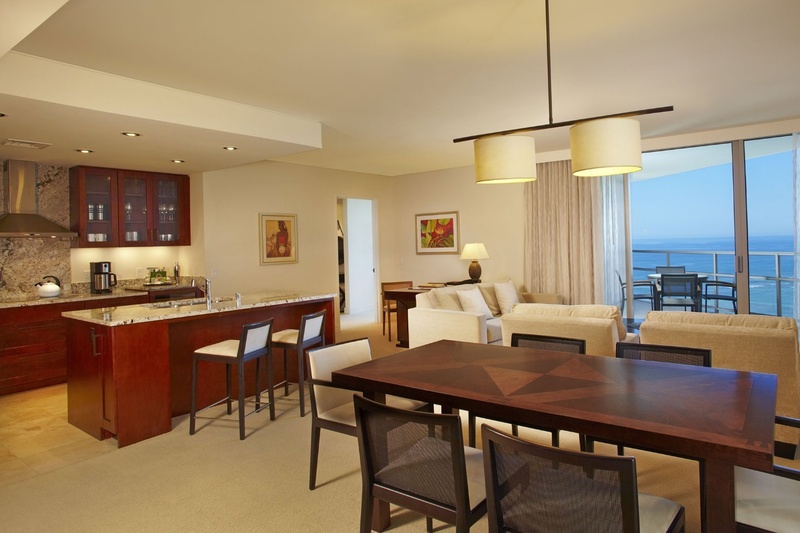 For ultimate luxury Trump International Hotel Waikiki offers one of a kind expansive Penthouse suites or the Trump Executive Suites. 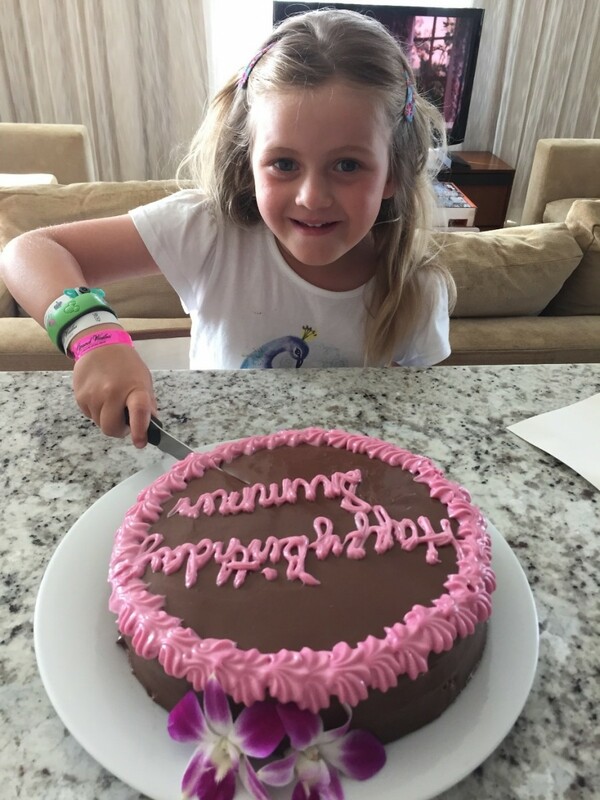 It was our Daughters Birthday during our last visit, and the hotel arranged a Chocolate Gluten Free Cake and the most divine fruit kebab sticks as a surprise delivered to our room. 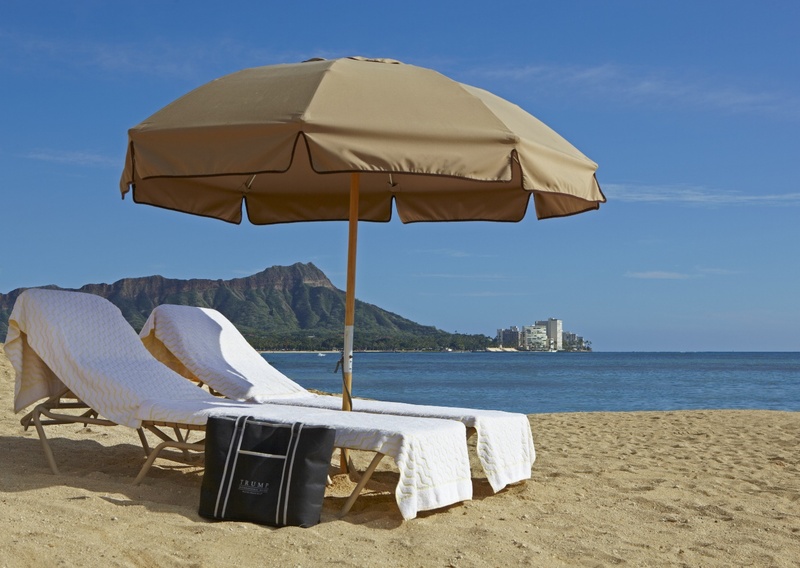 If you are looking to feel special The Trump International Waikiki certainly knows how to please. 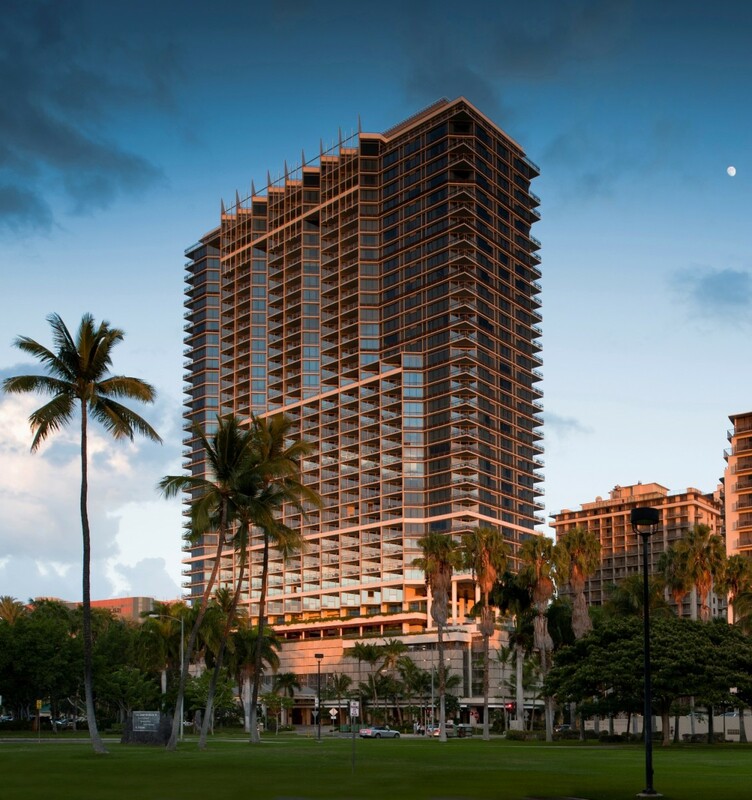 On each of our stays at The Trump International Waikiki they have always delivered to ensure a wonderful stay. It is small gestures such as this that make your stay just that little more special. Trump International Hotel Waikiki has one swimming pool, which is an Infinity Pool with stunning views of Waikiki beach. We enjoy the pool facilities as they are peaceful and relaxing. 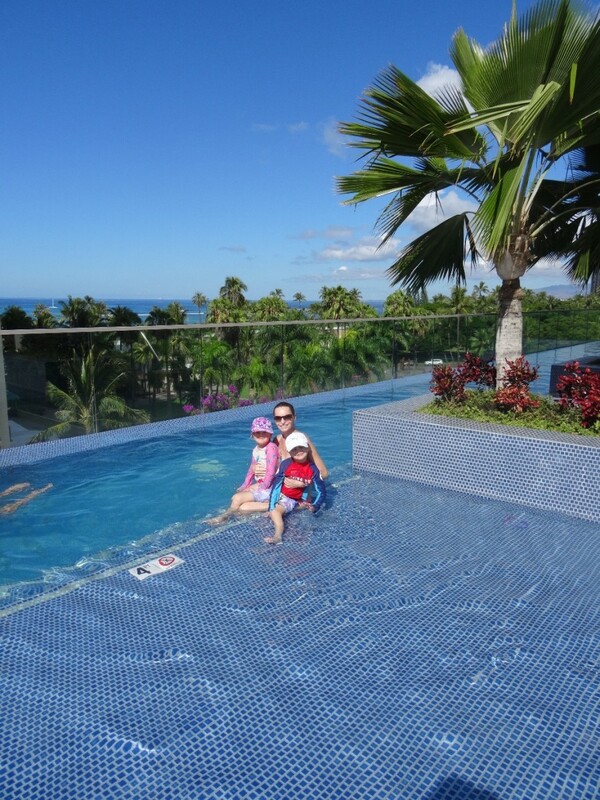 As a family we enjoy the pool for an early morning swim before heading to the beach for the day and back relaxing by the pool late afternoon. 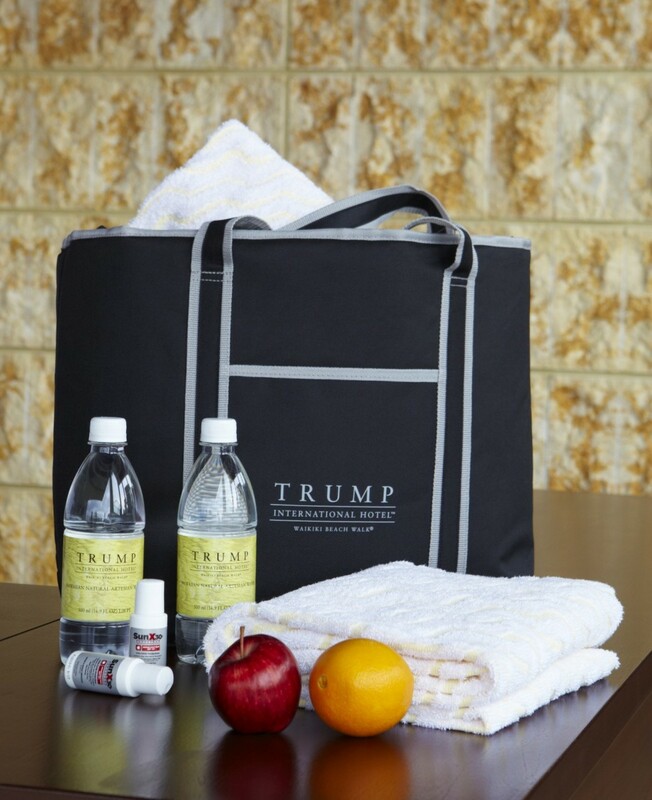 When heading to the beach ensure to stop off at the Concierge desk and collect your complimentary beach bag fully stocked with beach towels, water, pieces of fruit. When finished for the day return it back to the Concierge desk. It is these types of attention to detail that make your stay even more fabulous. BLT STEAK – Offering Prime cuts of Beef, fresh seafood and classic American desserts. IN – YO CAFÉ – Serving a Trump Breakfast, a breakfast buffet and customized omelette station as well as a full made to order menu. We have enjoyed breakfast here on many occasions. Always leaving with a very full and satisfied tummy. WAI’OLO OCEAN VIEW LOUNGE – Guests can dine here for Lunch or Dinner or enjoy light tapas on sunset paired with a signature llikeas Mai Tai. 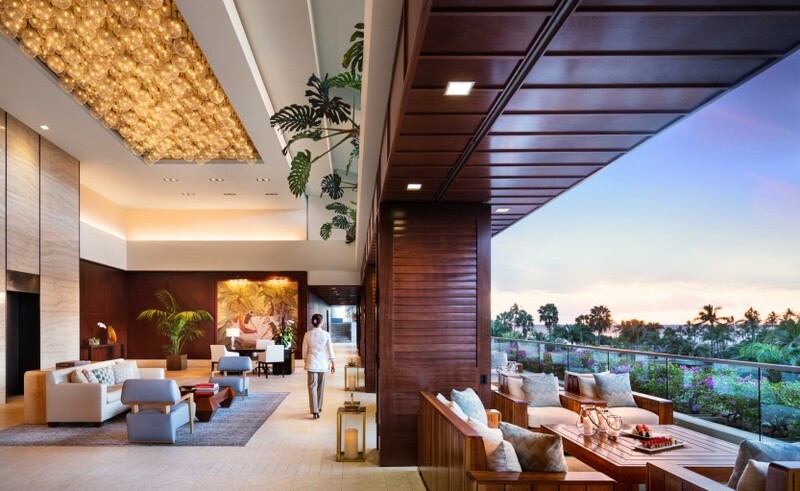 We have dined at all the restaurants at Trump International Waikiki and on every occasion we have been more than delighted with our meals and service.– Guests can dine here for Lunch or Dinner or enjoy light tapas on sunset paired with a signature llikeas Mai Tai. Trump Kids is a special travel program designed to assist families create an enjoyable holiday. Offering kid friendly amenities such as kiddie cocktails, colouring books, no-tear bath amenities, nanny services (rates apply), childrens room service, childrens manicure and pedicure at the luxury spa, childrens menu and pricing at the signature restaurants, childrens welcome amenity on arrival, board games, Map of the city ‘must see’ spots, Personal Attache’ service, Baby’s Safety Kit (bed rails, step stool, corner guards, cabinet safety locks). The Spa at Trump at Trump International Waikiki offers world class pampering with an endless list of treatments such as facials, massage, body treatments and packages. I always make the effort to stop here for some much need pampering. The fitness centre features free weights, circuit training and cardiovascular equipment. Should you seek a work out designed specifically for you, one of the professional trainers are on hand to design a workout to assist you meet your personal workout goals. Trump Attache Service is more than a concierge or butler service offering discreet anticipatory or on request services at any time day or night. This service is offered to all Trump International guests. Set on 850acres on Oahu’s North Shore, only 55minutes from the bustling Waikiki Turtle Bay Resort awaits it guests with a prime ocean front location. I have visited this resort, and although several years ago now, I still have fond memories of our stay. With a recent $45million resort-wide Revitalization this will only enhance what is an already wonderful resort. With 452 accommodations, including guest rooms and suites, beach cottages, and villas. 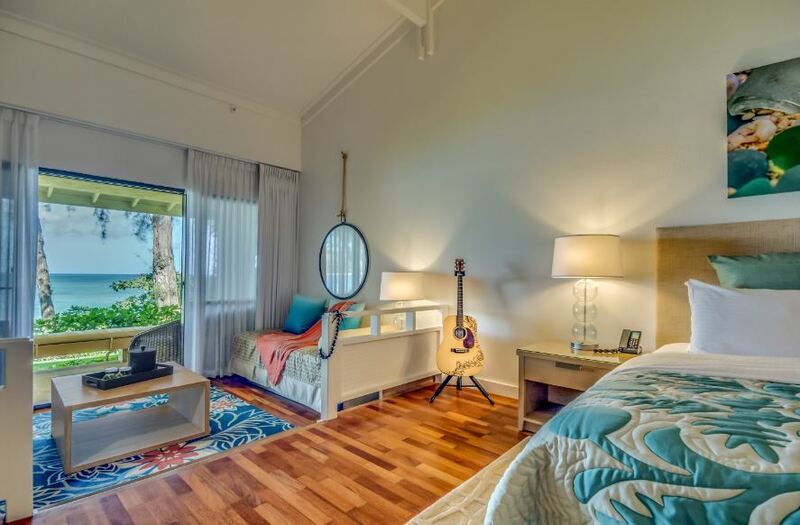 Turtle Bay resort guests have plenty of choice from these luxury accommodation options. Villas are available as a studio, 3 or 4 bedrooms with a maximum of 10 guest. The luxury Ocean villas have a fully equipped kitchen, washer/dryer and exclusive amenities such as a private pool, BBQ area, Jacuzzi and gated parking lot. Or for those whom like to be Oceanside, a Beachside Cottage may just suit your needs. The resorts main pool and hot tubs embrace the ocean views, there is also a kiddies pool and waterslide. KULA GRILLE – Farm to table thinking is behind every ingredient of their menu, where produce, seafood, poultry are all sourced locally. Open for Breakfast and dinner with Keiki (childrens menu). LOBBY LOUNGE – offerings such as freshly brewed coffee, smoothies, handcrafted cocktails food is available to eat at the lounge or to go. SURFER, THE BAR – an evening venue open till late offering drinks, cocktails, bar food while enjoying live music. You never know you may just enjoy a drink with one of the nations pro surfers. THE POINT – located pool side, enjoy a bite to eat with a cocktail while admiring the most stunning sunsets. December18th, 2016 – January 4, 2017 KEIKI ADVENTURES will be available. This is run by professionally certified North Shore Guides. 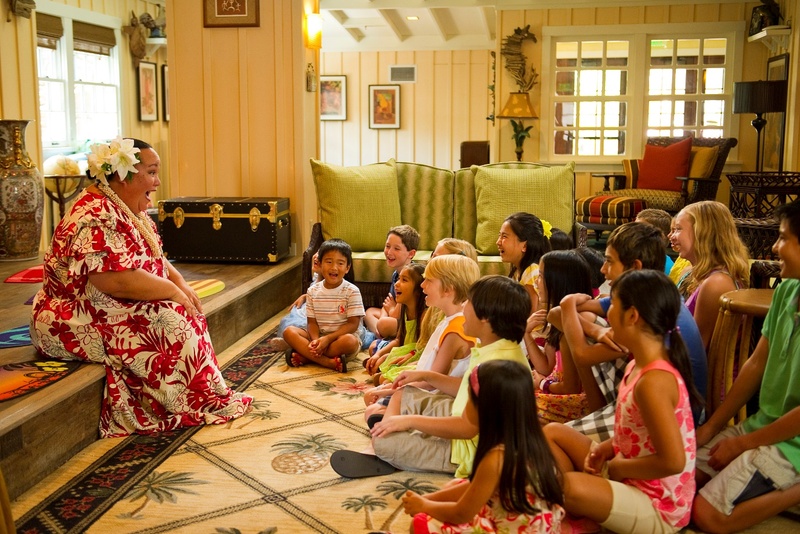 Keiki Adventures is a base camp allowing the children to immerse themselves in the authentic North Shore Experience. All adventures take place on the grounds of the Turtle Bay Resort. 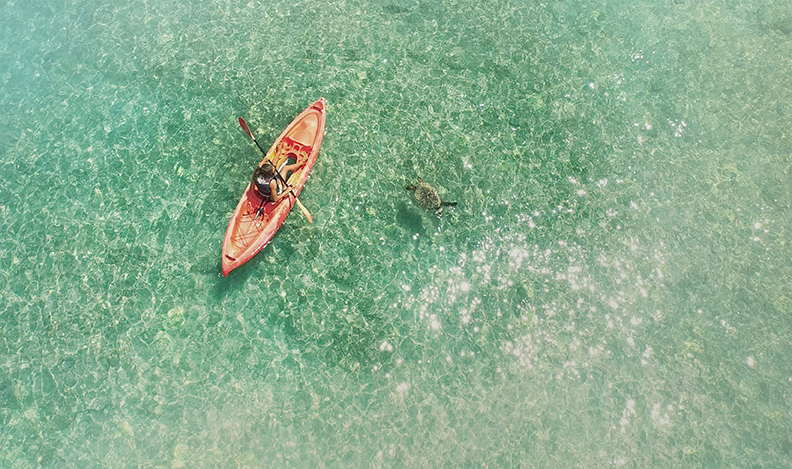 Keiki Waterman Adventure activities include Kawela/Banyan tree exploration, Outrigger Canoe Turtle Search, Tandem Surf, Stand-up Paddle boarding. Keiki Trails and Tennis Adventure, all tennis lessons are with a licensed Pro Instructor, biking with certified guides, foot golf and disc golf. 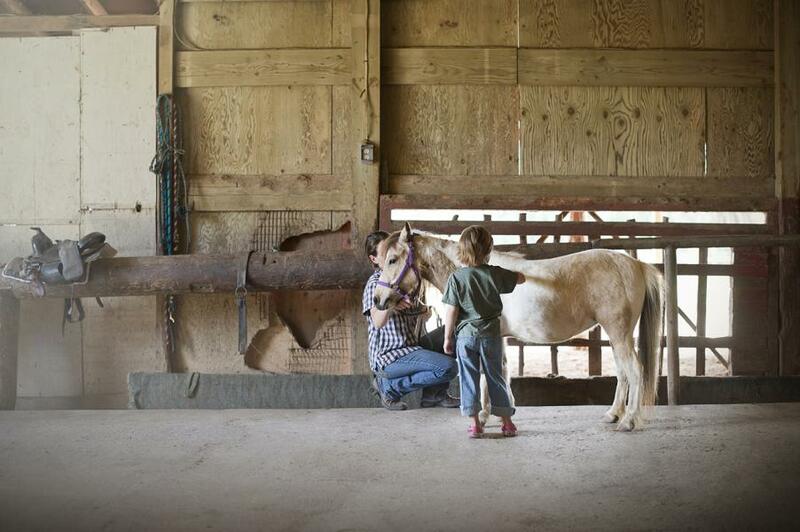 Keiki Horsemanship 101 Learning all aspects of Oahu Horseback riding and equine care. 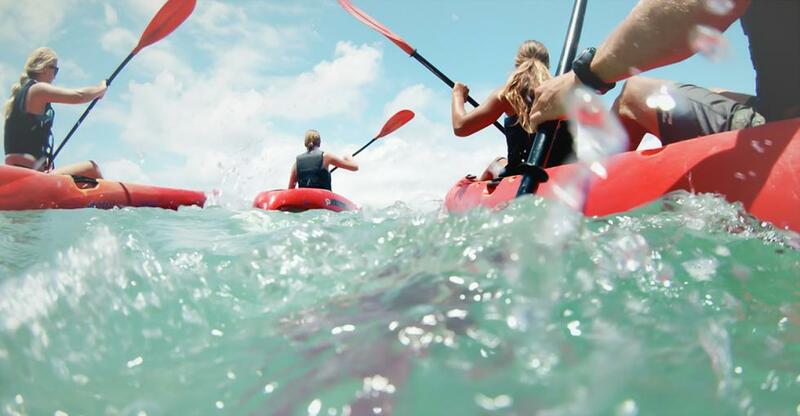 Turtle Bay Resort offers an endless list of activities from Tennis, Golf, Segway tours, Horse and Pony experiences, snorkelling and beach fun. To ensure you don’t miss a thing check out the resorts event and activity calendar to plan your stay. 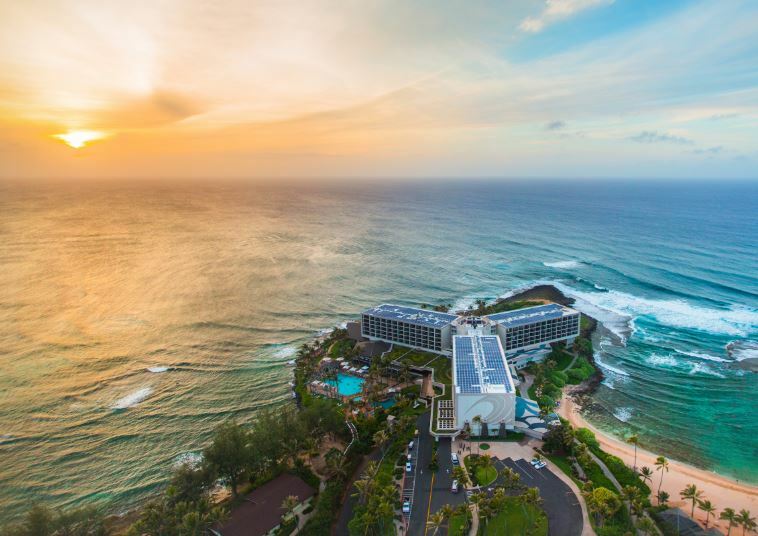 Turtle Bay Resort offers a variety of Music and Culture. 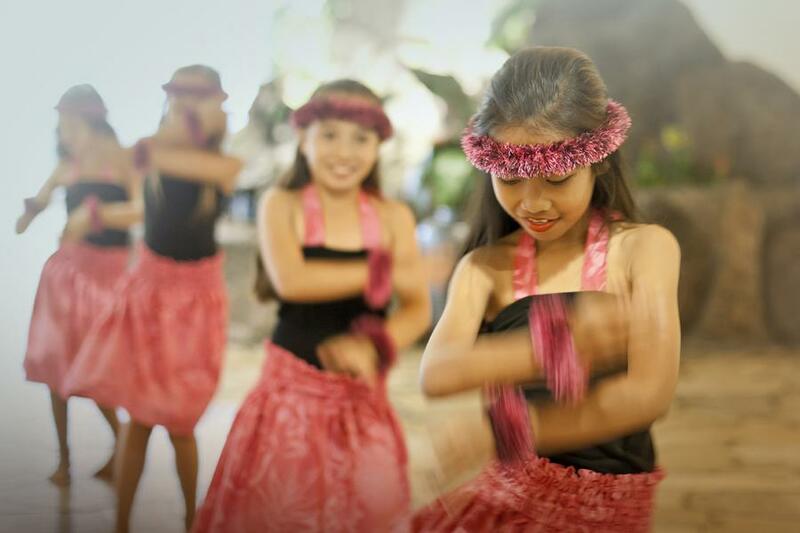 Each Sunday enjoy the Luau, with dances from throughout Polynesia, Hula and fire Knife dancing. Enjoy local Hawaiian Music at Surfer, The Bar or even take part in Ukulele lessons. For those looking for some wellness and healing the Turtle Bay Resort Nalu Kinetic Spa , offers an extensive list of treatments to be enjoyed, with a special spa menu for children 5years to 12years. FINAL NOTE - For those who are looking to escape the hustle of Waikiki or even in search for some perfect waves on Oahu’s North Shore this resort may just accommodate all your needs.